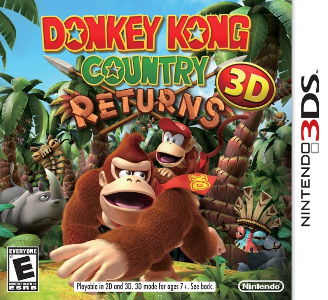 Donkey Kong Country Returns 3D is a side-scrolling platformer developed by Monster Studios and published by Nintendo. It is a port of the Wii title Donkey Kong Country Returns, with some additional content. Donkey Kong Country Returns 3D goes to a black screen upon boot. Does not reach title screen.